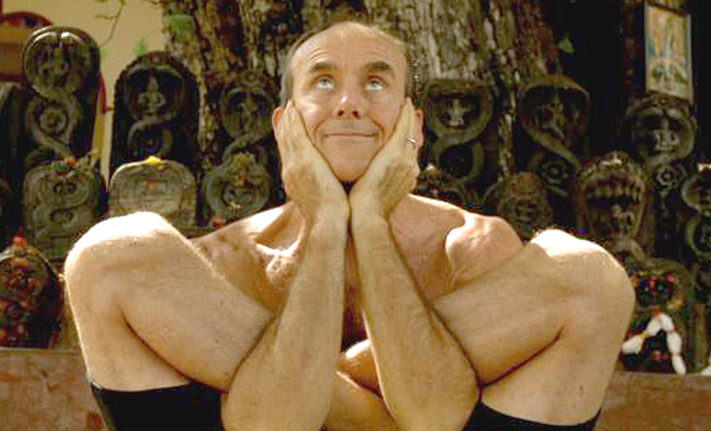 Ashtanga Yoga Master David Swenson is returning to give a workshop this October at the Ashtanga Yoga Centre of Melbourne. It will be his first here in Australia in three years. Save the date in your diary! Bookings available soon – stay tuned by registering at our event on Facebook or by checking our website. Ashtangi Dr Dani Ceccarelli with her youngest of three sons, Felix. Dani maintained her yoga practice even while her sons were little but suggests a more flexible approach makes it easier. 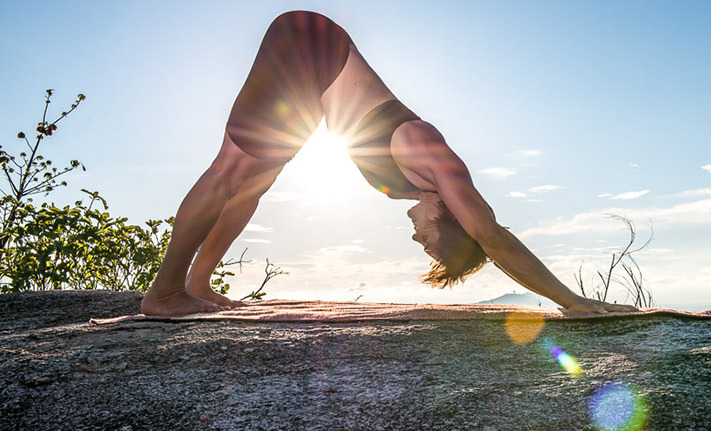 Dr Dani Ceccarelli of Magnetic Island Yoga in Queensland shares how she maintained her yoga practice while her children were small, saying a flexible approach can help. 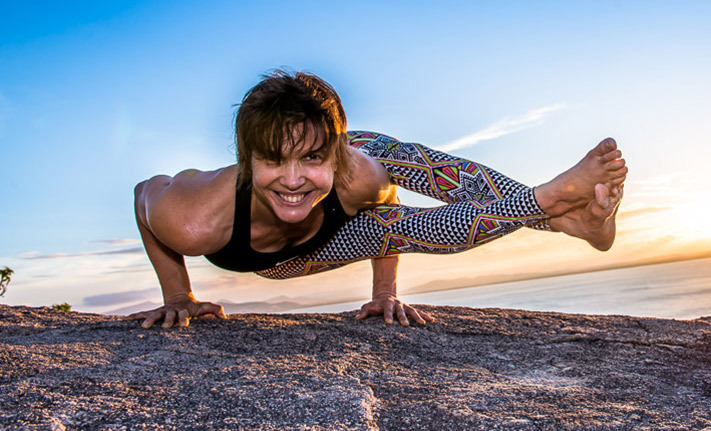 Dr Dani Ceccarelli joins us next week from Queensland & will stay for several weeks, during which she will help in the studio & give some workshops, drawing on her extensive knowledge of Ashtanga Yoga and other forms of yoga. Co-founder of our Centre Greg Cooper welcomes friend & fellow Ashtangi Dr Dani Ceccarelli from Magnetic Island Yoga in Queensland, who will help out in the studio and run several workshops mid September. Book now on Dr Dani Ceccarelli’s workshops later this month to benefit from her extensive knowledge of Ashtanga Yoga and other yoga forms, from which she draws to make yoga accessible to as many people as possible, regardless of physical ability. Dr Dani Ceccarelli’s approach to teaching yoga is making it accessible to people of varying physical abilities so that as many as possible benefit from it. In two weeks’ time we welcome Dani to our Centre where she will run several workshops – we are now taking bookings. David Swenson’s 40-hour Yoga Immersion Workshop next month offers a unique and wonderful way to learn more about Ashtanga Yoga and is particularly valuable for ashtanga teachers and those wanting to deepen their practice. 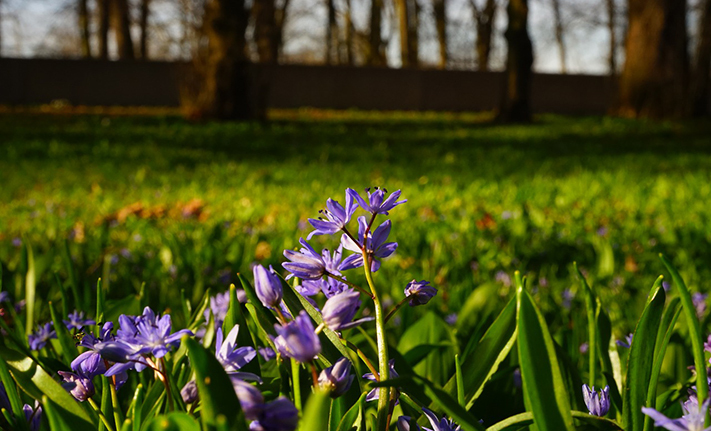 Greg Cooper, co-founder of the Ashtanga Yoga Centre of Melbourne, describes how Spring heralds constant change which is the natural condition of life and yoga.